A very tolerant sprawling shrub that provides berries for birds and other wildlife. This semi-woody shrub is a favorite of Zebra Longwing butterflies. A tall evergreen shrub that attracts butterflies and provides shelter for birds. 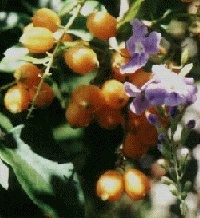 A drought- and salt-tolerant woody shrub. A low, sprawling plant, not as tolerant of prolonged dry periods as L. involucrata. 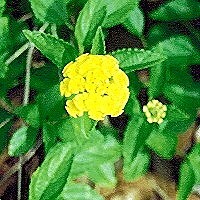 A low-growing shrub that prefers sandy soils. 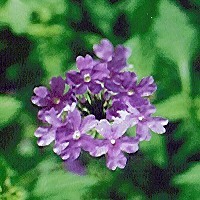 Plants of the verbena family, Verbenaceae, attract many butterflies and are host plants for buckeyes. 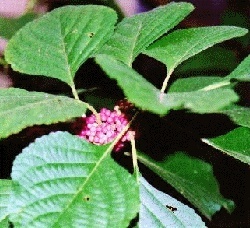 The berries of Beautyberry are a favorite food of many birds and other wildlife.